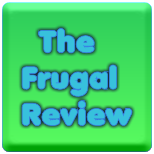 FRUGAL REVIEW: Purchase Netflix for $7.99 and receive first month free. Purchase Netflix for $7.99 and receive first month free. Save up to 65% on Target clearance items! Save Up To 65% On Clearance Items At Target! Get Your Free Sample Of FINISH Power & Free! Click and print your Dollar General coupon. Free Secret Clinical Strength Deodorant! New Printable Toy And Grocery Coupons! Receive 60% Off All Calendars from York Photo. Receive 50% Off All Card Orders from York Photo. Free vitamin recommendation from Dr. Weil. Free Bowl of Queso from On the Border. Take surveys and earn rewards.